BRASILIA, Brazil, December 1, 2010 (ENS) – Brazil has reduced destruction of its Amazon rainforest to the lowest rate since satellite observations began in 1988, President Luiz Inacio Lula da Silva announced today in Brasilia. 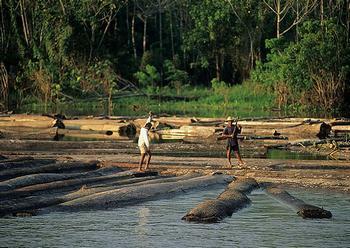 The achievement helps protect the global climate as deforestation causes greenhouse gases to increase in the atmosphere. Brazil’s National Institute for Space Research, INPE, said in its annual report that deforestation reached a record low of 2,490 square miles (6,450 square kilometers) between August 2009 and July 2010. This is the second consecutive year Amazon deforestation has reached a record low, dropping 13.6 percent below last year’s record low rate, President Lula said. Last year, Brazil slowed the rate of Amazon deforestation by 45.7 percent from August 2008 to July 2009. Deforestation fell in seven of the nine Amazonian states, even in Para State, which has historically experienced the greatest rate of deforestation, said President Lula. 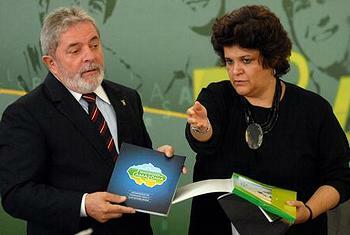 President Lula said Brazil has transformed its position in international negotiations. 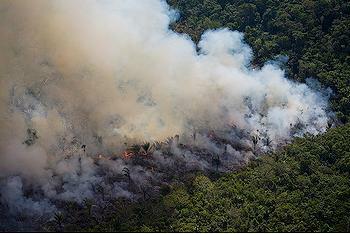 At first, the country was blamed for contributing to global warming by clearing vast swaths of the Amazon rainforest. Now Brazil is leading the way in terms of rates of deforestation and reduction of emissions, while the developed countries are not presenting emissions reductions. “We are fulfilling the commitment we have made in Brazil. We will fulfill it because it’s our obligation to do so,” said the President. President Lula also announced new integrated policies to promote sustainable development in the Amazon region, as well as the first results from Brazil’s deforestation monitoring of the Atlantic Forest along Brazil’s east coast. In 2009, Brazil passed into law a commitment to cut its projected greenhouse gas emissions between 36.1 and 38.9 percent by 2020. Deforestation reduction is a critical part of Brazil’s strategy to reduce national emissions; official calculations estimate that meeting deforestation reduction targets could reduce Brazil’s greenhouse gas emissions by up to 24.7 percent. In October 2010, President Lula announced that Brazil’s 80 percent Amazon deforestation reduction target would be met by 2016, four years earlier than promised. Teixeira said the new drop in the rate of deforestation is the result of the Lula administration’s environmental policies. 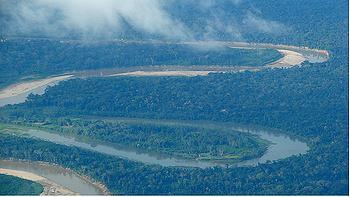 Over the past eight years the government has increased the percentage of protected areas in the Amazon, she said. She said the slowing deforestation levels are a result of the Action Plan for Deforestation Control and Prevention in the Amazon, a set of cross-government policies and measures launched in 2004 and suppported by 14 government agencies. The policies cover improved monitoring, strengthened enforcement, and encouragement of sustainable activities in the region. Satellite images analyzed by INPE’s near-real time deforestation detection system have enabled the Brazilian Institute of Environment and Renewable Natural Resources, with support from the Federal Police, to set up precise and effective enforcement operations to halt illegal deforestation as it happens. The engagement of state governments, civil society and the private sector has played a major role in curbing deforestation, including efforts to renew sectoral pacts to halt the conversion of forests for soybean production in the Amazon. In July 2010, Brazil’s ban on the commercialization of soy grown in the Amazon was extended for the fourth consecutive year. In addition, seven of the nine Amazon states have already developed and approved their own action plans to fight deforestation at the local level. Part of the government’s strategy to prevent deforestation and conserve Brazil’s biodiversity is the creation of protected areas. According to the Global Biodiversity Outlook 3 by the UN Environment Programme, nearly 75 percent of the 700,000 square kilometers of protected areas created around the world since 2003 are located in Brazil. During today’s event in Brasilia, President Lula signed a decree establishing the Amazon Ecological-Economic Macrozoning initiative, a set of strategies to guide and stimulate sustainable development in the Amazon region. The document divides the Legal Amazon region into 10 zones and specifies the nature of economic activity that can be carried out in each of them, in accordance with sustainability criteria. Deforestation will be avoided by halting the expansion of agriculture and cattle ranching into areas of native vegetation, and fostering the use and recovery of degraded lands for agribusiness. The decree establishes that the National Monetary Committee shall define new rules restricting finance for rural and agro-industrial activities in the Amazon, according to the criteria included in the Macrozoning initiative. Fiscal and economic incentives will encourage the expansion of sustainable activities in the region. Within hours, the Bank of Brazil announced that it will veto agricultural credit for soy farmers who want to plant in newly cleared areas of the forest. This decision by the main financier of the agricultural production in the country strengthens conservation moves by government and nongovernmental organizations alike, said Adario. Environmental preservation “is not just the prerogative of the Ministry of the Environment, but for all,” Environment Minister Teixeira said today. In Washington, Doug Boucher, director of climate research and analysis at the nonprofit Union of Concerned Scientists, agrees that the world must now follow Brazil down the path of greenhouse gas emissions control.